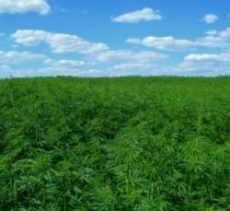 A Colorado cannabis company has developed the first hemp seed bred entirely in the United States in the modern era, according to the state’s agriculture department. The Colorado Department of Agriculture said the seed variety, called NWG-Elite, was developed by New West Genetics, a cannabis biotechnology company in Fort Collins. Colorado and other states already have certified hemp seeds, which means the seeds have been tested to meet THC limits of 0.3% and to germinate and perform well in a particular state. “But all those varieties belong to a foreign company. They were developed somewhere else and adapted for use here,” Sinning said. New West CEO Wendy Mosher told Marijuana Business Daily that the new variety was developed for seed production, with an average CBD content of 3% for the whole plant. The new variety is especially prized because it resists “shattering,” when a plant drops seeds on an uncertain schedule, making it difficult to harvest the seeds. The company is also working on hemp varieties better suited for CBD production and for fiber production, though she said fiber is the least marketable part of the plant right now in the United States. The seed is available only from New West Genetics directly. Many states do not allow the importation of viable seed, though Colorado hemp rules are silent on cross-state seed transfer, so hemp growers anywhere can buy NMG-Elite. Mosher said that New West is also working on hemp variety trails in Indiana, Kentucky and Nevada.